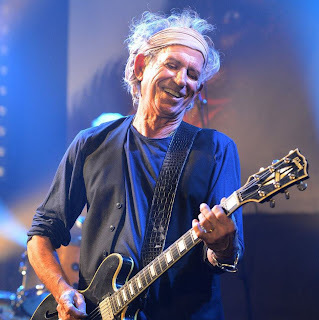 Keith Richards made a surprise appearance at Madison Square Garden in New York on Saturday, joining Eric Clapton on the second night of his Crossroads Guitar Festival. The Rolling Stones guitarist jammed with Clapton on the blues standard, "Key to the Highway," before sticking around for another tune. "Now we're gonna rock it up," said Richards, before launching into "Sweet Little Rock N' Roller." All profits from the festival – which has been held every three years since 2004 – benefit Clapton's Crossroads Centre for substance abuse in Antigua, a treatment and education facility founded by the guitarist.